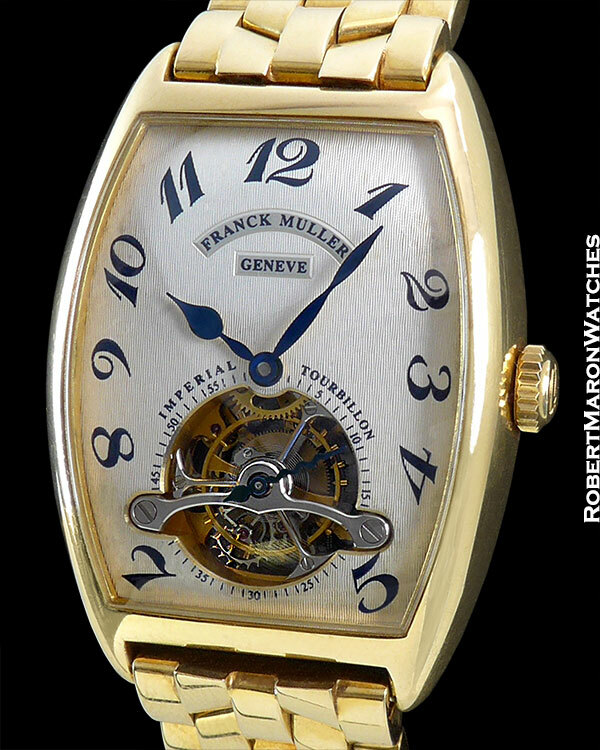 Known as the “Master of Complications”, this watch is a true testament to the Franck Muller name. To say that this unique and very rare find is a special gem is an understatement. 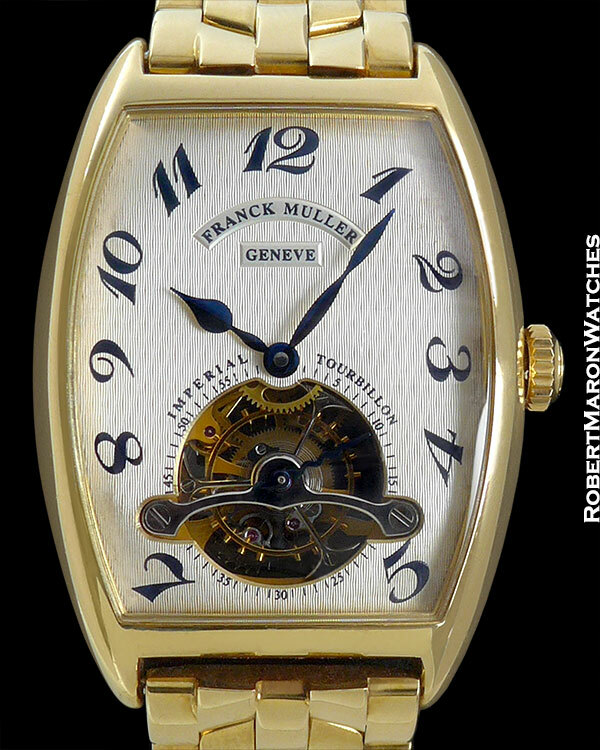 The rare Franck muller 5852 T tourbillion measures 33mmx44mm in dimension. 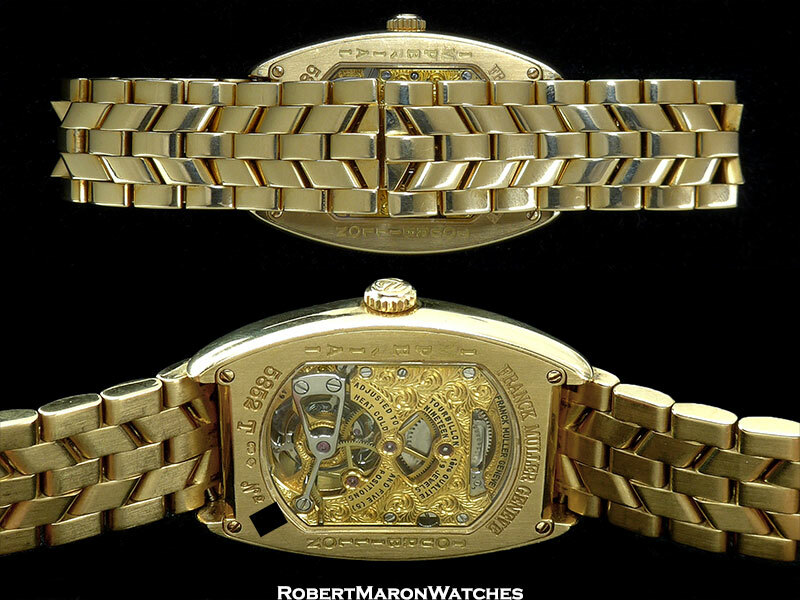 18k yellow gold case on 18k yellow gold Franck Muller link bracelet with concealed double deployment buckle. Dial features Silver guilloche with applied black radial Breguet numerals, aperture for the visible tourbillon cage under a polished steel bridge, carrying the blued steel serpentine seconds hand. Blued steel spade hands. 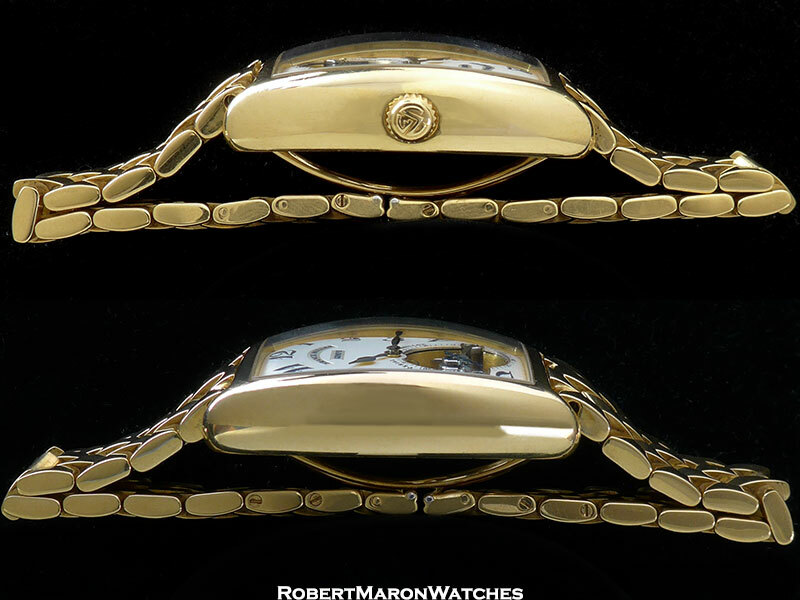 Transparent caseback with four screws and sapphire crystal. Movement is the automatic Caliber TFM 96. Gilt and engraved brass with 19 jewels. One-minute tourbillion regulator. Monometallic balance adjusted to heat/cold and 5 positions. Self-compensating Breguet balance spring. An incredible rarity and in mint condition.